The suit dates back to a 2009 fine by Korea's anti-trust regulating Fair Trade Commission (FTC), and a 2013 ruling by the Supreme Court. On Monday, the Korean Supreme court handed down their ruling on the appeal, finding that the penalties assessed by the regulator were fair and just. The original penalty was 273 billion won based on violations between 2000 and 2009. Qualcomm must pay out 200 billion of that, but can appeal the remaining 73 billion won at a lower court. Yet to be heard by the Korean Supreme Court is an appeal on a 1.03 trillion won ($853 million at the time) antitrust penalty the company was assessed by the FTC in 2016. That penalty was applied less for kickbacks to manufacturers, and more because of persistent abuse of market dominance —very similar to Apple's accusations and legal battles spanning the world. In nearly all of those battles, Qualcomm has been accused of illegally leveraging its market dominance to force manufacturers to accept its chips versus using competitors' offerings. Qualcomm has yet to make a comment on the matter, beyond specifically telling The Investor that there is "nothing to say at the moment." Apple and Qualcomm are engaged in a worldwide legal battle that kicked off in January 2017, when Apple sued over nearly $1 billion in rebates it said were withheld as retaliation for cooperation with antitrust investigators. Private lawsuits are ongoing around the world, and various government bodies have pursued their own actions, sometimes leveling millions of dollars in fines. A trial brought by the U.S. Federal Trade Commission, with Apple's help, concluded in late January. Limited iPhone import bans are currently in effect in China and Germany. 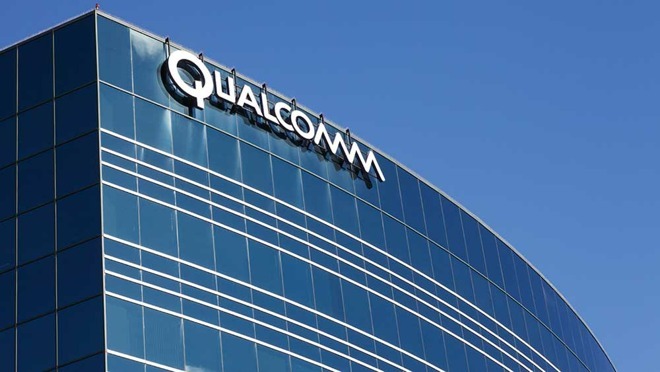 The crux of complaints against Qualcomm is the allegation that it forces chip buyers to sign patent licenses at unfair rates, and that Qualcomm is using its dominance in the market to force terms and conditions unfair to device manufacturers. Qualcomm though has made its own set of counter-charges, including that Apple shared trade secrets with Intel — currently Apple's only cellular modem provider.